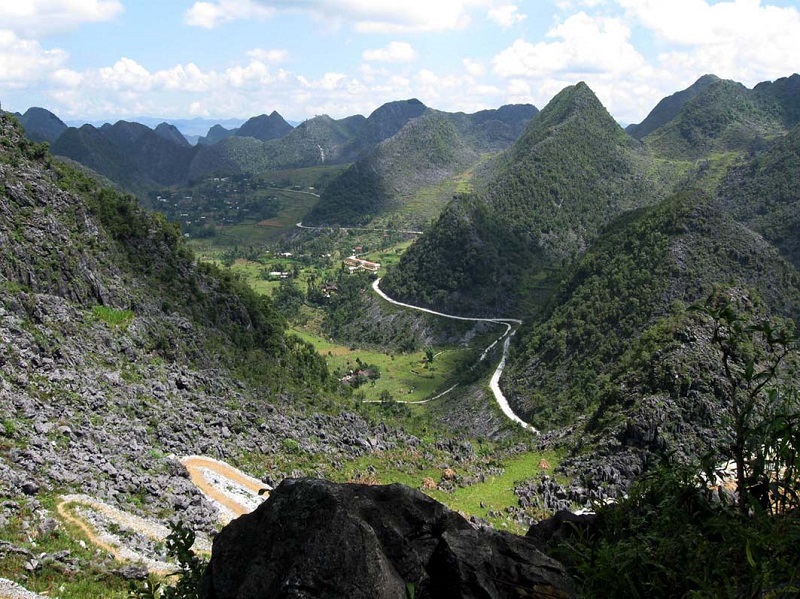 Prime Minister Nguyen Tan Dung has approved establishment of Du Gia National Park – Dong Van Stone Plateau in the northern mountainous province of Ha Giang on the basis of merging the Du Gia Nature Reserves into Khau Ca Species and Habitat Conservation Area. The 15,000 ha park, which is formed by merging the Du Gia nature reserve and Khau Ca Species and Habitat Conservation Area, spreads over three communes of Tung Ba (Vi Xuyen district), Minh Son (Bac Me district) and Du Gia (Yen Minh district). Additionally, the park is expected to boost eco-tourism, raise locals’ awareness of environment protection and facilitate scientific research in the area. The park has a 8,850ha buffer zone across six communes in districts of Yen Minh, Bac Me, Vi Xuyen and Quan Ba. The PM has assigned the provincial People’s Committee to manage the park and design a development project for the park and its buffer zone.